Topographic maps of the Serra de Tramuntana, each map sheet with front and back. 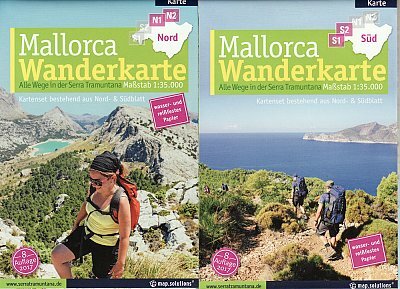 This 2012 edition covers the whole of the Tramuntana Mountain, the old edition just covered the central ridge. The GR221 is now shown from start to finish and is speically highlighted. There is a full English key sheet as well. The new editon is also printed on waterproof paper.